FLETT, WINONA MARGARET (Dixon), suffragist and social reformer; b. 10 June 1884 in South Dumfries Township, Ont., daughter of Isabella Bowie and James Flett, a farmer; m. 14 Oct. 1914 Frederick John Dixon* in Winnipeg, and they had three children, two of whom survived infancy; d. there 16 May 1922 of pneumonia. In 1912 Winona Flett left Woodstock, Ont., with her mother and her sister Lynn to live in Winnipeg. 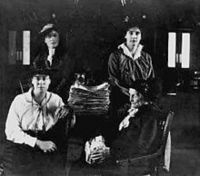 On their arrival, Winona and Lynn, “tall handsome businesswomen,” joined the newly established Political Equality League (renamed the Manitoba Political Equality League in 1913), which sought to obtain the provincial franchise for women. A stenographer, Winona served as the convener of the league’s literature committee. 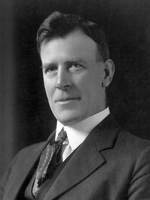 When the league organized a petition for women’s suffrage after the victory of the Liberal party under Tobias Crawford Norris* in the general election of August 1915, Flett was in charge of the document bearing the names of 39,584 women. Along with the league’s president, Mary Elizabeth Crawford, its secretary, Lillian Kate Beynon* Thomas, and the oldest signatory of the petition, Amelia Burrell, Winona was photographed to record the successful campaign which in January 1916 resulted in Manitoba being the first province in Canada to enfranchise women. Winona was one of eight women to be invited to occupy seats on the floor of the Legislative Assembly, rather than in the public galleries, for the third reading of the bill. Winona had worked actively in the community for a range of social reforms. She spoke with Beynon Thomas in May 1914 in favour of “a more rigid enforcement of the Factory Act in places where women and children are employed” and stressed the need to appoint a woman factory inspector. She campaigned for a colleague in the MPEL, Fred Dixon, in his sucessful bid for a seat as an independent Labour candidate in the provincial election of July 1914. At the People’s Forum, a series of weekly lectures and discussions organized by James Shaver Woodsworth*, she spoke in 1914 on “Women in industrial and profesional life.” She would address the Forum again in 1915 and 1918 and she would lecture at the Labour Church [see William Ivens*] in 1919. Winona and Fred Dixon and their family were involved in pragmatic progressive politics. Arrested and charged with seditious conspiracy after the Winnipeg General Strike of 1919 [see Mike Sokolowiski*], Fred successfully conducted his own trial, arguing that he and other strikers were exercising British freedom of speech and the right to collective bargaining. 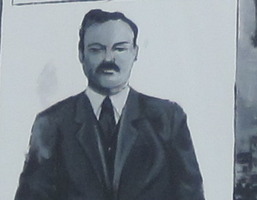 Campaigning for Fred in the provincial election of June 1920, Winona urged the women of the province to vote Labour, their true champion. 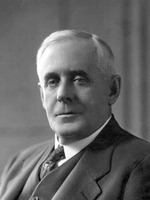 Dixon came at the top of the poll and was chosen leader of the Labour mlas. At her death, Winona Flett Dixon was described in the Manitoba Free Press as “well versed in industrial conditions, especially as they affected women. She was a gifted speaker and was keenly enthusiastic in the support of the principles she advocated.” She had been able to combine “motherhood and public service.” Attending her funeral were Liberal and Labour politicians, including Norris, the premier of the province, and colleagues from her suffrage and social reform causes. She was 37 years old. Events 173/3 (N9905); P 192. AO, RG 80-2-0-209, no.1778. Man., Dept. of Finance, Consumer and Corporate Affairs, Vital statistics (Winnipeg), nos.1914-134063, 1922-018170. Grain Growers’ Guide (Winnipeg), 29 Dec. 1915, 5 Jan. 1916. Manitoba Free Press, 5 May, 2, 7, 9 July, 16 Oct. 1914; 17 May 1922. Voice (Winnipeg), 23 Oct. 1914, 22 Jan. 1915. Western Labor News (Winnipeg), 17 Jan. 1919; 11, 25 June, 5 Nov. 1920. Winnipeg Tribune, 28 Jan. 1916, 19 May 1922. Harry and Mildred Gutkin, Profiles in dissent: the shaping of radical thought in the Canadian west (Edmonton, 1997). D. N. Irvine, “Reform, war and industrial crisis in Manitoba: F. J. Dixon and the framework of consensus, 1903-1920” (ma thesis, Univ. of Man., Winnipeg, 1981). B. A. Roberts, A reconstructed world: a feminist biography of Gertrude Richardson (Montreal, 1996). Mary Kinnear, “FLETT, WINONA MARGARET (Dixon),” in Dictionary of Canadian Biography, vol. 15, University of Toronto/Université Laval, 2003–, accessed April 24, 2019, http://www.biographi.ca/en/bio/flett_winona_margaret_15E.html.